« Critical Mass-it’s not just for anarchists, union workers take it to the street on bikes. For more information, please e-mail membership@transalt.org or call 646 873-6036. 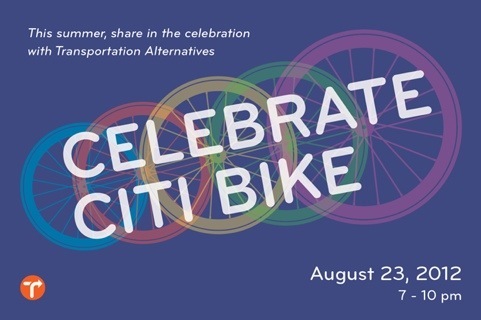 Transportation Alternative’s Citi Bike Celebration is less than two weeks away! Join us for drinks, dancing and a celebration of the wonderful ways Citi Bike will change New York City when it launches. On Thursday, August 23rd, we’ll Celebrate Citi Bike at Roulette with beer from Brooklyn Brewery and delicious food from Habana Outpost. 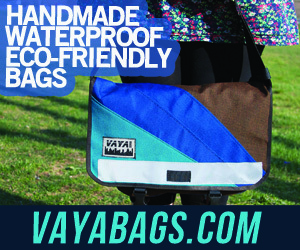 Buy your tickets before Thursday, August 16th and you’ll be entered to win a David Byrne Messenger Bag. There will be live music from Dujeous, a photo booth, bike ballet — a spectacularly choreographed dance on bikes — and a silent auction with items from local businesses as well as other fun festivities!